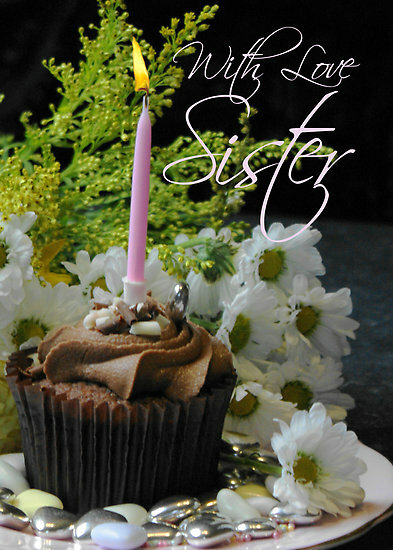 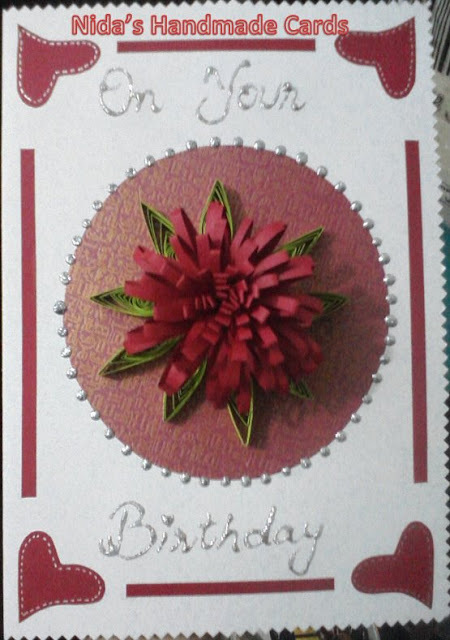 I have found list of amazingly designed birthday cards with new design and idea that will surely attract you at first sight. 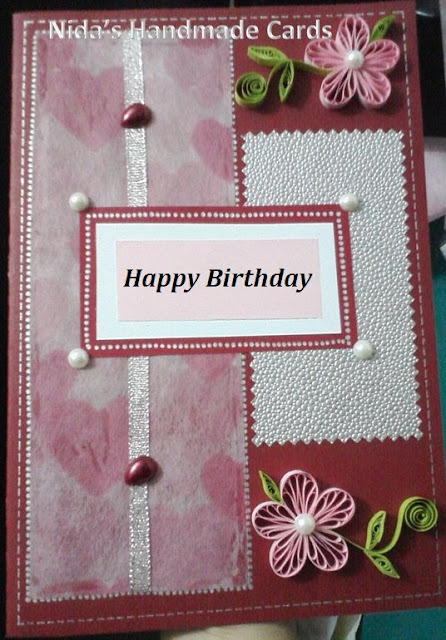 The good part of these birthday cards are that they are neatly designed with clear background. 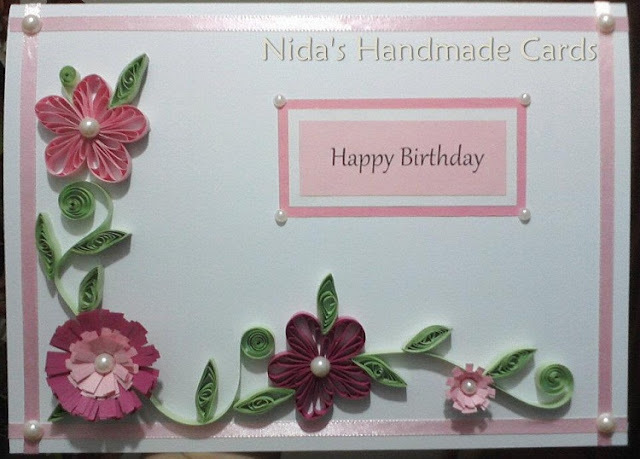 During my break time, i met this creative girl Nida on facebook and was amazed by having a look at her creative work/showcase. She started making these synthetic handmade cards back in 2010 and currently having 1K plus fans. 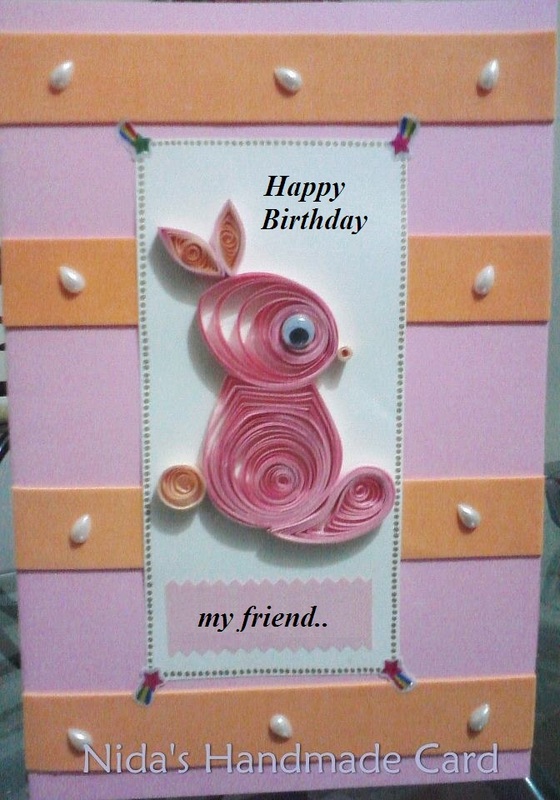 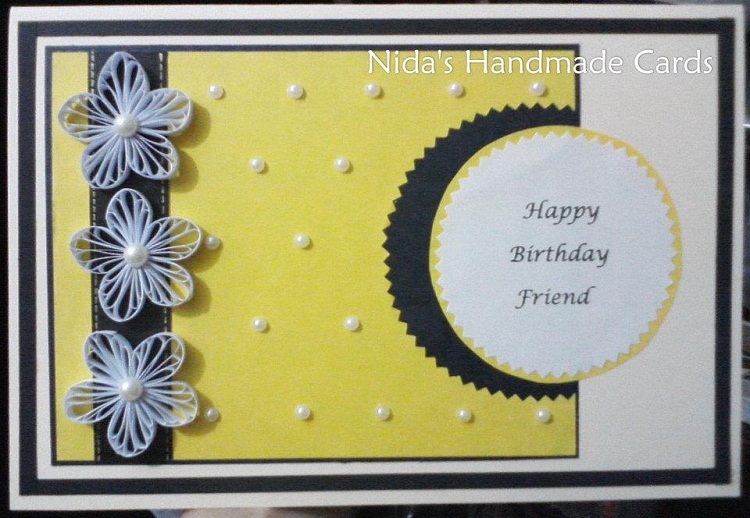 Nida is a girl who's never happy doing only one thing her creativity don't stop on birthday cards. 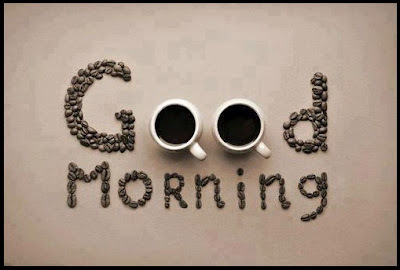 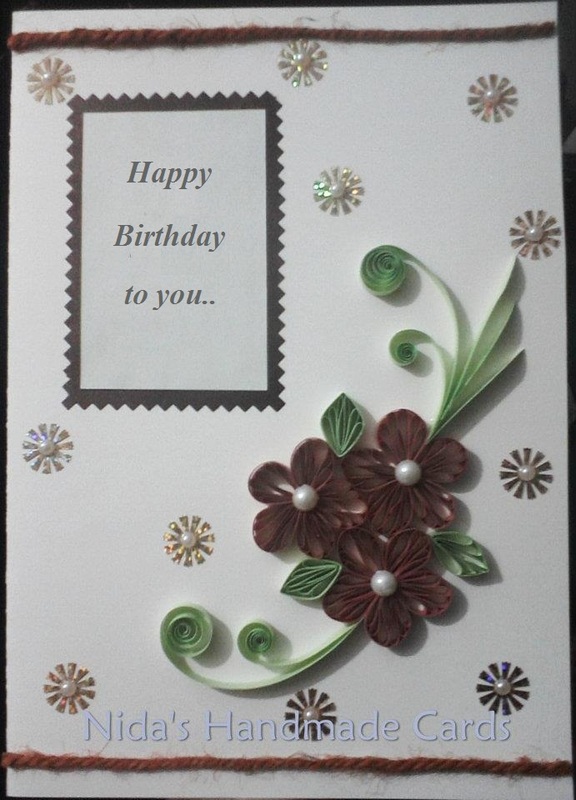 She also accept customized orders along with anniversary, new year, friendship, father's day, wishes and love cards. 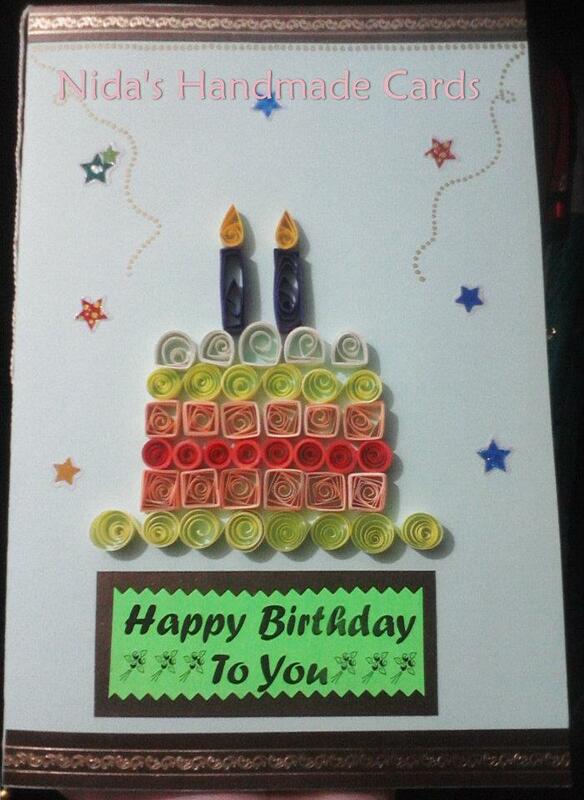 Feel free to share and appreciate her effort by sharing these birthday cards to greet your loved ones. Some landscape and portrait birthday greeting cards. 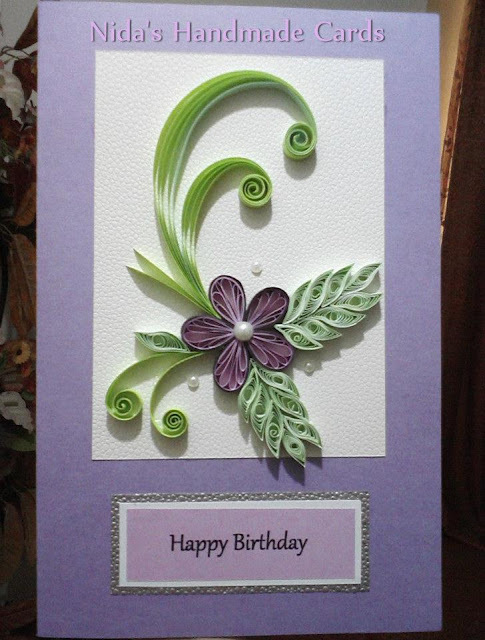 We have added a link to her showcase at the end of this post. 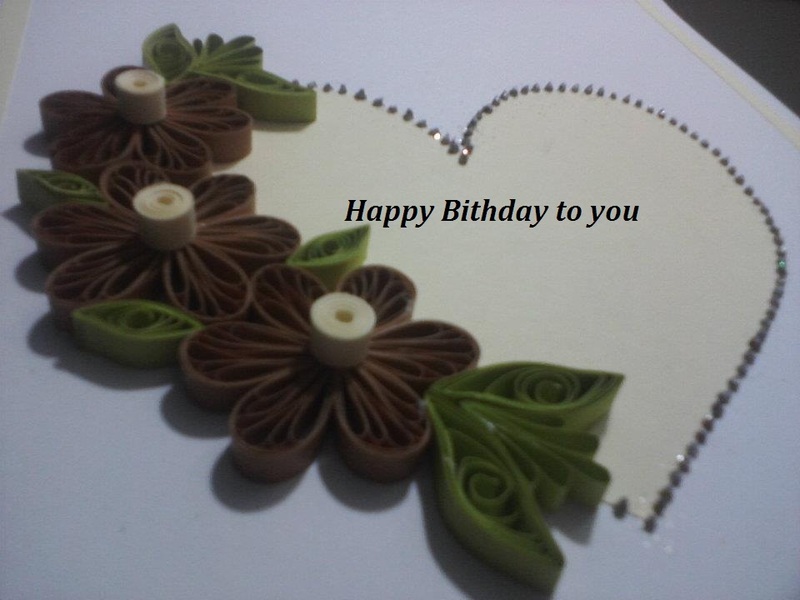 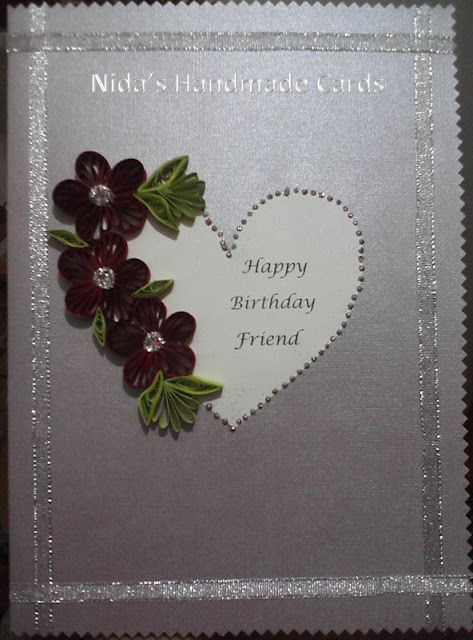 Heart shaped birthday cards with flower designs, cakes, bunny, teddy bear funny and some more. 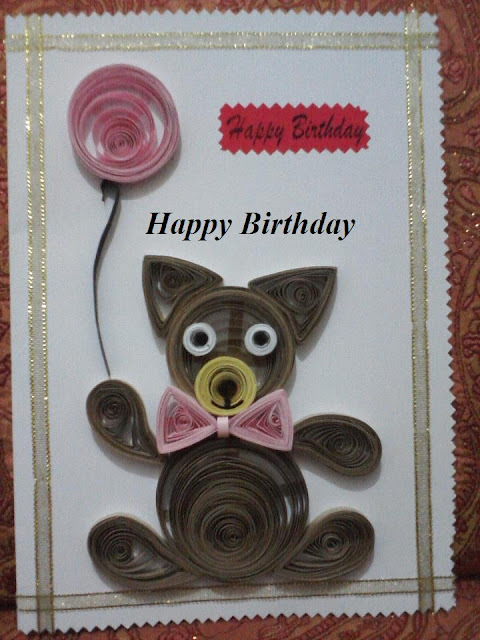 You can order for more cards here on Nida's Handmade Cards.